So, ya like how I left you all on the edge of your seats for six months, wondering when “Key West: Part II” was finally gonna be posted? Some of you may have even wondered if I was still alive. No posts for half a year? Who is this girl?! So sorry about that delay. My excuses? Travel/event season for work, holidays, and … there was something else … shoot what was it? Oh right … I got MARRIED!!! Waaahoooo! Happiest I’ve ever been in my life! I’ll be writing about all of my marriage happiness, the wedding, the days proceeding the big day, our honeymoon in Hawaii, etc. within the next week or two. For now, it’s time to wrap up my Key West chapter last summer. If you’re forgetting where I left off, just take a little look at “Key West: Part I” to bring you up to speed. I know that video is nothin’ special, just a few girls cycling through town, but believe me – it was total meditation for us. Starting that day off with a simple cycle through town while the rest of the world was at work (and far far away) meant so much to us. Our first destination started with breakfast at “La Te Da” which was so scrumptious! Really nice place to grab breakfast/brunch and it’s in an adorable part of town. After breakfast we cycled over to a butterfly conservatory close by. BEST IDEA EVER!!! Which one of you girls thought of that one? I honestly can’t remember who brought it up, but that was so amazing! The photo to the right is pretty much the only photo out of, ohhhhh I don’t know like 743,048,309,483,908 photos that I took where a butterfly stayed still for me. Those little butterfly spirits are just too free for my iPhone to catch up with. If you decide to give it a try, I think it was only about $10 or less, and it’s at The Key West Butterfly and Nature Conservatory. It was magical. 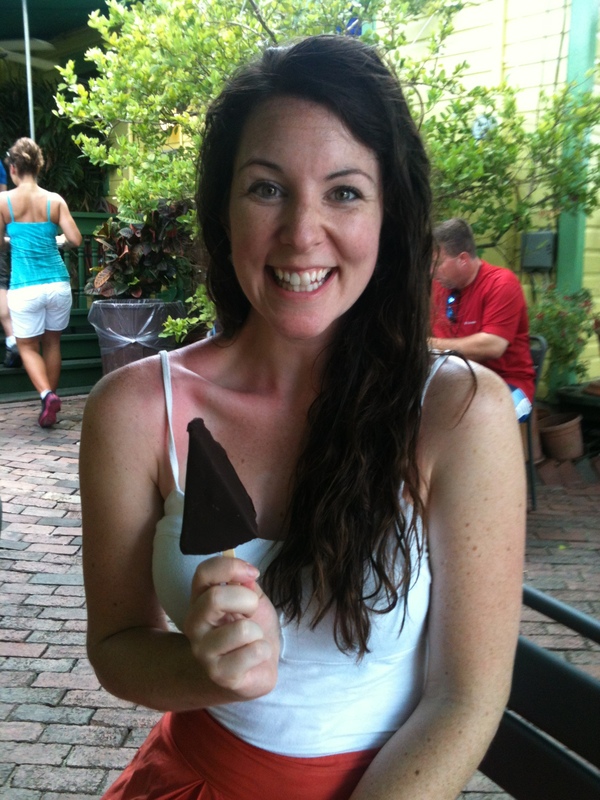 Plus, it was a perfect escape from the sporadic rain fall that Key West so commonly gets in the summer. Next? We moseyed down the street a little further to find the “Southern-most Point” rumored to be a must-see. Well, yea…we found it…along with a lovely long line of tourists waiting to take their photo infront of it. Pppshhhh…we’re not those kinds of tourists! Instead we re-routed off to a side street where a vendor was selling freshly drilled coconuts with a straw. Yes please! It was a true taste of paradise. I plopped that into my bicycle basket and we were off again. Hannah recommended that we check out the nearby state park – sweet! This was such a great ride as we wove in an out of residential roads on our way to “Fort Zachary Taylor State Park Beach.” We parked our bikes by the beach and jumped in the ocean before cycling around the park a bit more. As we left the park and made our way back into town, we realized there was one thing that we hadn’t tried yet. This was the hot topic of the trip after Kaitlin mentioned it…something that we HAD to experience: Key Lime Pie on a stick. Are you ready for this?! It’s exactly what it sounds like – key lime pie, frozen on a stick. SO GOOD!!! 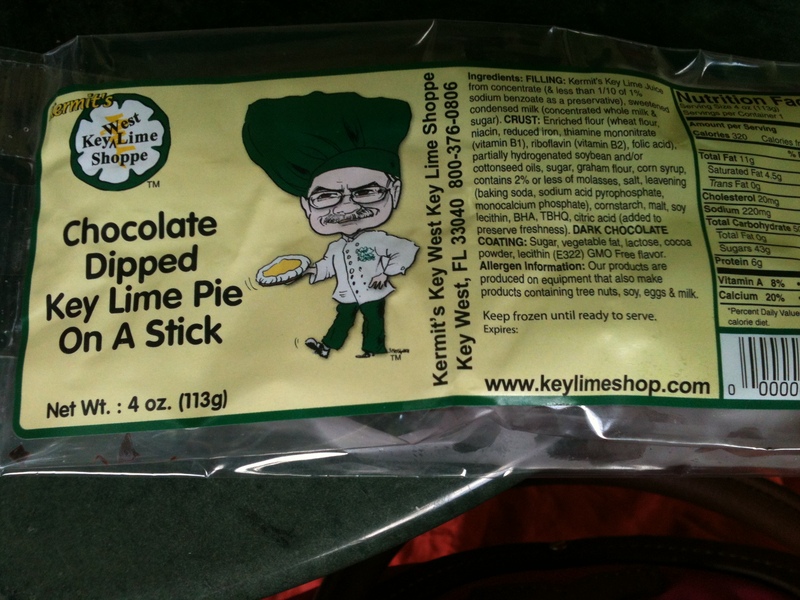 The key lime pie is frozen with a gram cracker crust, then the whole thing is stuck onto a stick and covered in chocolate. Seriously…..so…. incredibly….delicious. We eventually made our way “home” to the Sheraton. 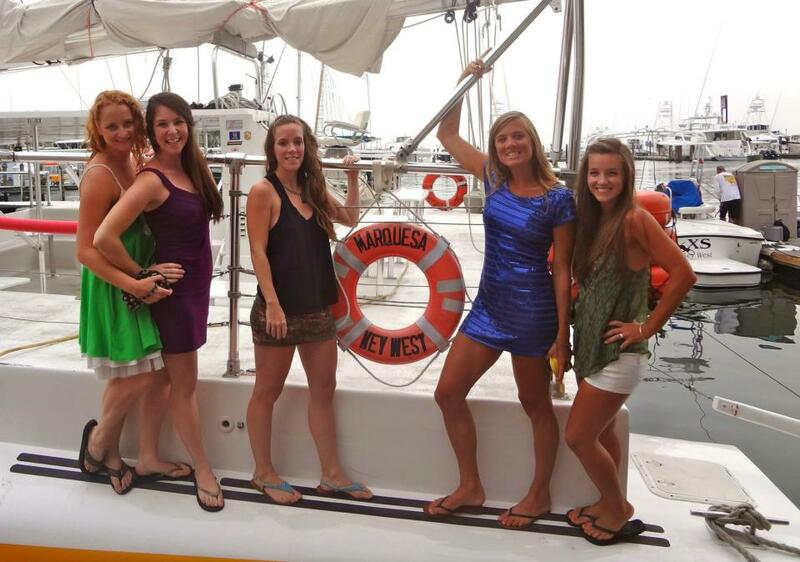 After we all enjoyed a little resting by the beach, then resting in the AC w/ a little trashy TV and a side of goldfish crackers, and of course followed by Pinteresting, Instagraming, Facebooking, and deciding what we wanted to do that night – we were ready to take on Key West again. This time we kicked off the night a little further from the touristy “Duval Street” and decided to enjoy a more local bar called “The Green Parrot.” LOVED THIS PLACE!!! 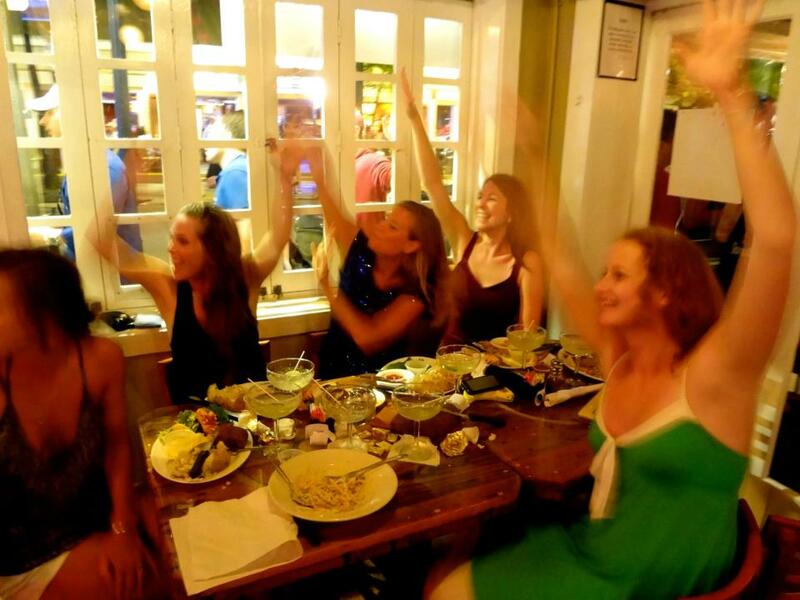 Totally an easy going local bar with a ton of spirit and love for Key West all packed in there. The rest of that night was pretty classic – we’ll never forget the hilarious series of events that unfolded. Too many to even remember. 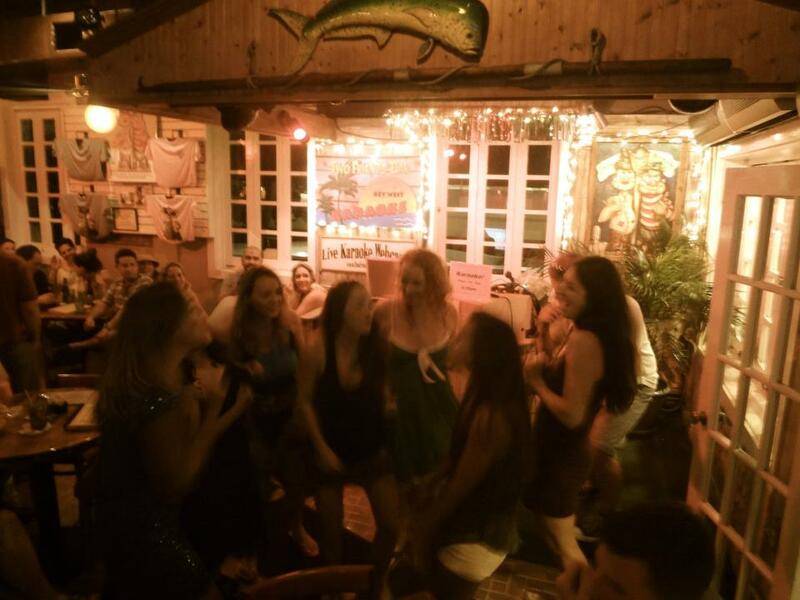 My personal favorite memory was when we started the Cupid Shuffle (one of my favorite dances) in a side alley, and then proceeded to invite the rest of Key West to join us. Before we knew it – this impromptu dance party was being video taped, cheered for, and uploaded to YouTube in minutes. We were on fire. Cupid Shuffle – we made you proud! Saturday was our last full day in Key West, but there was something going on down on Duval Street that brightened up our spirits. What could it be? LOBSTERFEST!!!!!!!! How lucky we were to be in Key West only for a few days…which just so happend to hit their annual week of “everything-lobster.” Oh my gosh. 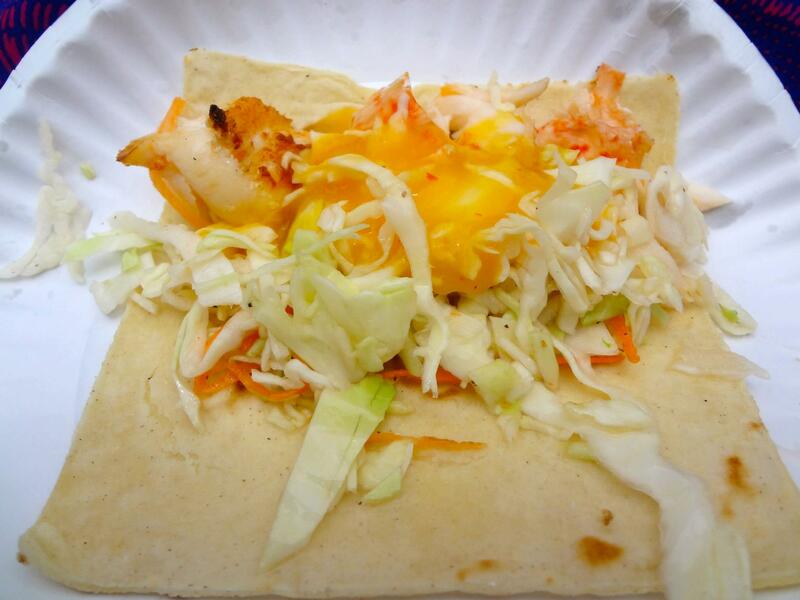 Grilled lobster on a stick, lobster salads, lobster sandwiches, lobster tacos! So delicious, and a perfect send off. After enjoying some more coconuts freshly cut for us by a nice man with a machete, we went back to enjoy a little more beach time and then to get ready for our dinner happy hour cruise! Looks like I’m about to spill my drink, doesn’t it? Well I did. Totally did. Margarita on the lap. Can’t take me anywhere! Saying goodbye to this place was tough. It’s pure paradise here, and I can’t wait to go back. This trip will go down in the books as one of my favorite vacations of all time. Kaitlin, Kendall, Chop, and Hannah – I’m so lucky to have friends like you in my life, and I can’t wait to keep these adventures going strong, even into our 90’s. Oh yes…maybe into our 100’s…oh it’s happening. This last photo was our final beach time before hoping on the plane and heading back to Maryland. I came home to Sean with no voice, a nice little tan, about 490348230 photos, amazing memories, strengthened and renewed friendships, and a “newlie” peaceful soul. Thank you, Key West. I can’t wait to go back!!!!! 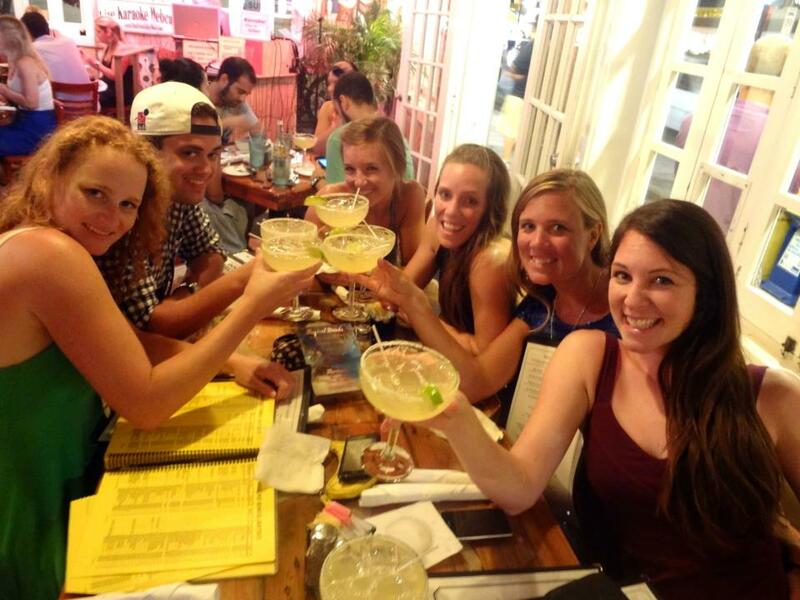 So, like I said in “Part I”…have you booked your flight to Key West yet? !